Check here smaller size 19"/22"
1. 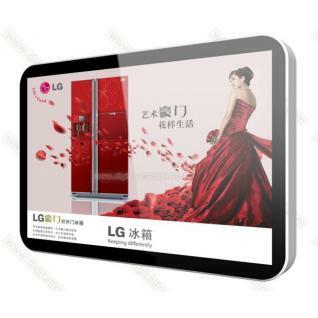 It usebrand new32 inch LED-backlit screen, supports Dat, Mpg, mpeg，ts, trp, tp, m2ts, vob,mp4, rm, rmvb, mkv, divx, avi, Motion JPEG, asf, wmv, ts 1080P@30P video (more see chart below). 2. It builts in Digital Power Timer, allowing itself to go on or off 5 different times every day, every "Monday-Friday", every "Sat-Sunday" of the week, every several days, or several times per day! 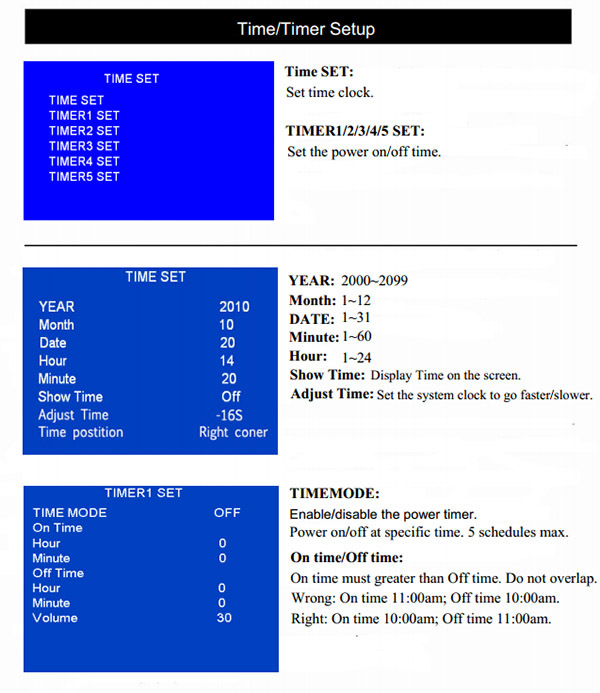 It will be automatically on/off after the time interval you pre-set, helping you to use energy more wisely and control your display more easily. You can create 3 schedules on Monday and 4 schedules on Friuday. 1). 7:00am - 9 :30am Slide Picture1 ~Picture50 w/ background music. 2). 10:30am – 12:00pm to Play video1 ~ video 10 and slide Pic51 ~ Pic100 and also spot announcement. 1). 7:00am Auto power on by using Power Timer. 2). 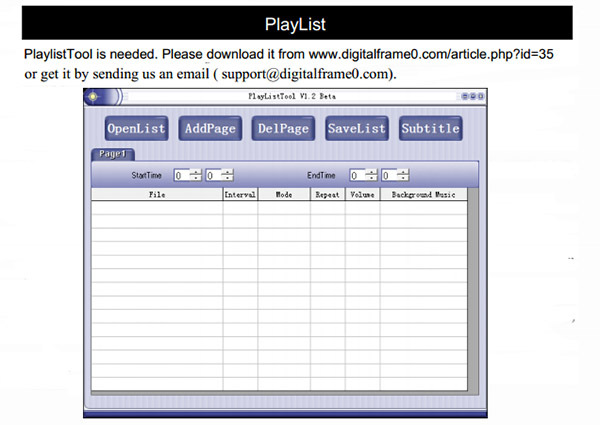 7:00am – 5:00pm Play video10 ~ video20and slide Pic100 ~ Pic200 with background mp3music. 3). 5:00pm - 9:00pm Display specail offer. 4). 10:00pm - 9:00am Scheduling power off and on again. 5. Caption function: Add/Display 3 scrolling texts on the top/bottom of screen during playing. 6. Spot announcement: Interrupt the current show with "breaking video news" during or after a playing. 8. 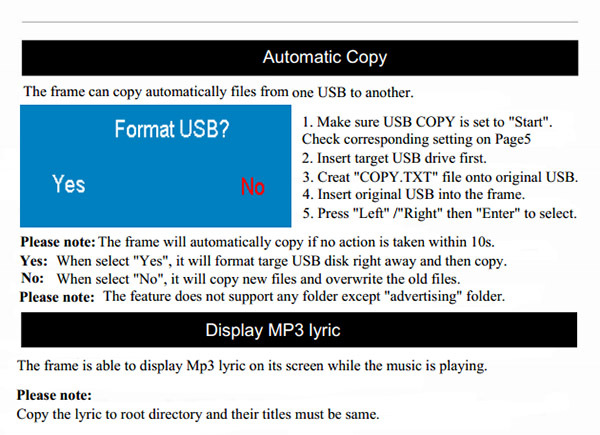 USB update function.Update playlist/files simply by inserting USB flash driver. 10. 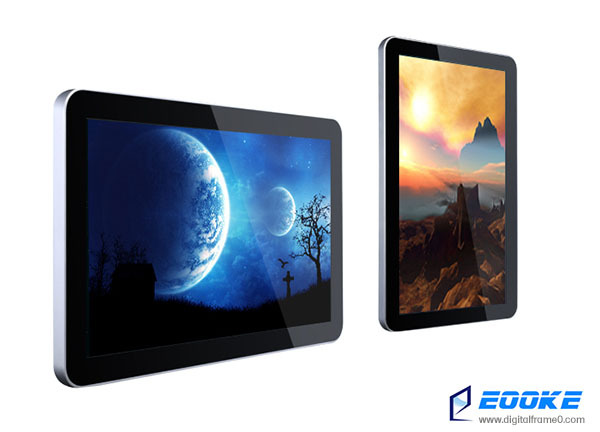 Super thin aluminum alloy housing with toughened glass,protect the screen well. 11. Security door & lock, prevent your content/USB drive from unauthorized access. 12. Intuitive menu is very easy to use, it's also Password protected. It can be install vertically or horizontally. Timer Funtion YES, power on/off at given time. 5.Transport Wood case to protect the frame from transit damage. 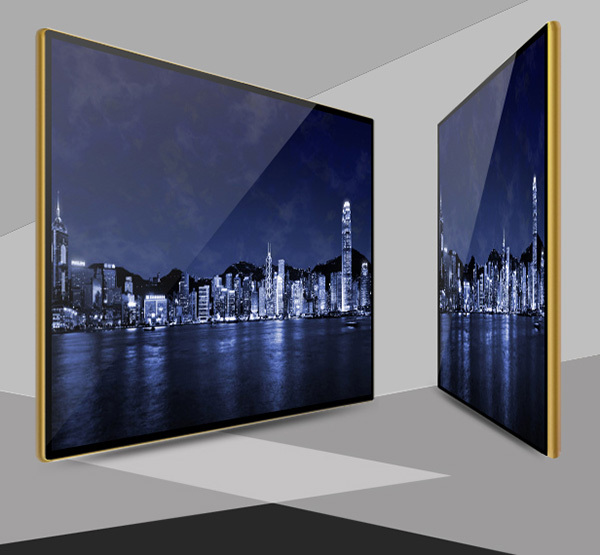 We are a professional manufacturer of quality digital photo frames and advrertising player. 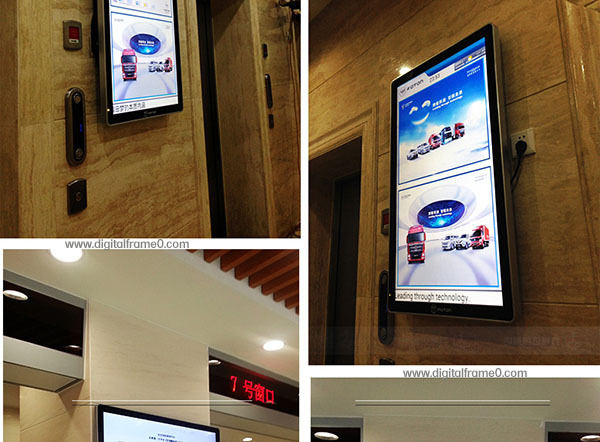 You are most welcome to contact us regardingproduct orwholesale orders via sales@digitalframe0.com. can this frame work with wifi? No at the moment, will have soon. How much is it to add the motion sensor to this frame? Is there a motion sensor? No, howver motion sensor is optional parts/function, we can add it for you. In slide show can the pictures be set up to display in random order? Does this have a SD memory card port? From 2015, it supports USB only.